As per the report 'Rear Seat Belt Usage and Child Road Safety in India', 90 per cent of the total 6,306 respondents said they do not use rear safety belts. NEW DELHI: The government is spending more than Rs 20,000 crore to rectify accident prone black spots on roads across the country in order to reduce fatalities in such incidents, Union Minister Nitin Gadkari said Friday. "One of the major reasons for road accidents is flawed engineering. We have already identified the black spots...We are spending more than Rs 20,000 crore only for implementing this and making underpasses, flyovers etc," the road and transport minister said. 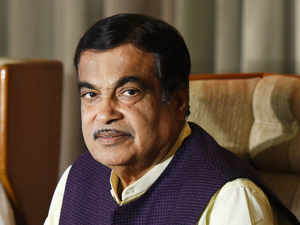 "We have also suggested to state governments to include chapters on road safety in primary education..Government is also taking preventive measures in auto industry like seat belt reminders," Gadkari added. The report also revealed that despite 92.8 per cent respondents being aware of the safety benefits of child helmets, only 20.1 per cent owned a child helmet. "While there have been various initiatives undertaken to raise awareness around road safety in India, the importance of wearing rear seat belts has been completely neglected," Nissan India President Thomas Kuehl said. He added that the company along with SaveLife Foundation and SHARP, has set a target to reach out and educate over 2 lakh children in 240 schools across 12 cities on usage of rear seat belts, and road safety.